Description: The 18 essays by members of the Canadian Society for Biblical Studies published in this volume showcase the work of leading authorities on ancient Israelite and Jewish historiography as it intersects with the phenomenon of prophecy. A deep divide exists between the traditions of historiography and prophecy in the academic study of the Hebrew Bible, and the concern of the contributors is to close that gap, to expose the close relationship between these two traditions in the literature of the Hebrew Bible. The first section of the book explores prophecy and prophets in ancient Israelite and Jewish historiographic books (Torah, Deuteronomistic History, Chronicles, Ezra�Nehemiah, Second Temple Jewish historiography). The second section surveys historiography in Israelite and Jewish prophetic books (Isaiah, Jeremiah, Ezekiel, Book of the Twelve, Daniel, 1 Enoch). The contributors engage diverse methodological perspectives in these studies, the goal first being to show the role that the prophets played within the great Hebrew historiographic works and, second, to demonstrate the role that historiography plays within the great Hebrew prophetic works; this makes it clear that the influence is bidirectional. 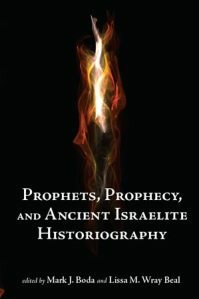 Prophets, Prophecy, and Ancient Israelite Historiography will be of value for advanced students and scholars working on historiographic and prophetic materials in the ancient Israelite and Jewish traditions, featuring the best of research and analysis and interacting with many major ancient literary traditions of historiography and prophecy. Citation: Lena-Sofia Tiemeyer, review of Mark J. Boda and Lissa M. Wray Beal, eds., Prophets, Prophecy, and Ancient Israelite Historiography, Review of Biblical Literature [http://www.bookreviews.org] (2014).